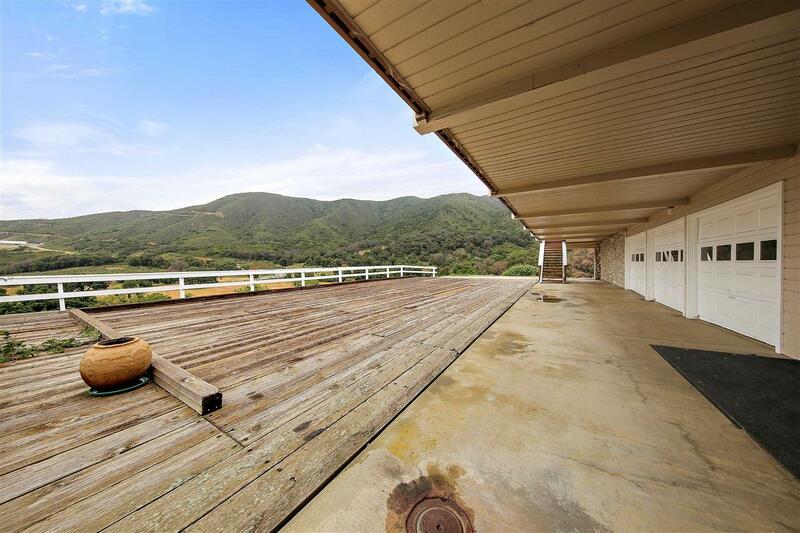 Located near the center of Santa Ysabel, this extraordinary ranch house, named Crazy A Ranch is a remarkable 7000 home on a 82 acre estate. Custom built to take advantage of the gorgeous surrounding views from the deck, living room, dining room, game room and bedrooms. There is also a guest house, apartment, pond, creek, golf and a stable for your livestock. It's an absolutely picture perfect estate in the foothills of the Mesa Grande! 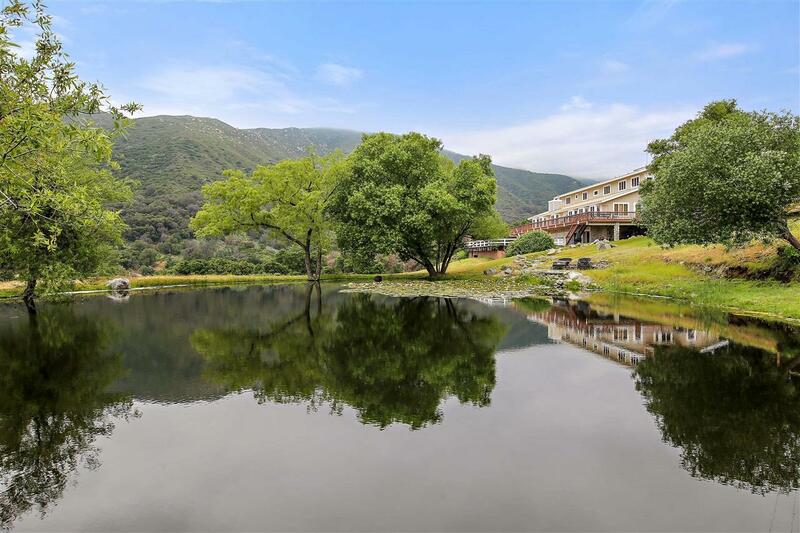 Lake Henshaw, Julian, Warner Springs Resort are all within 15 minutes of the Ranch. The 7000 esf custom home is warm, inviting, and rustic. The rich woods, granite, marble, and high beam ceilings give the feel of the Old West with a touch of elegance. 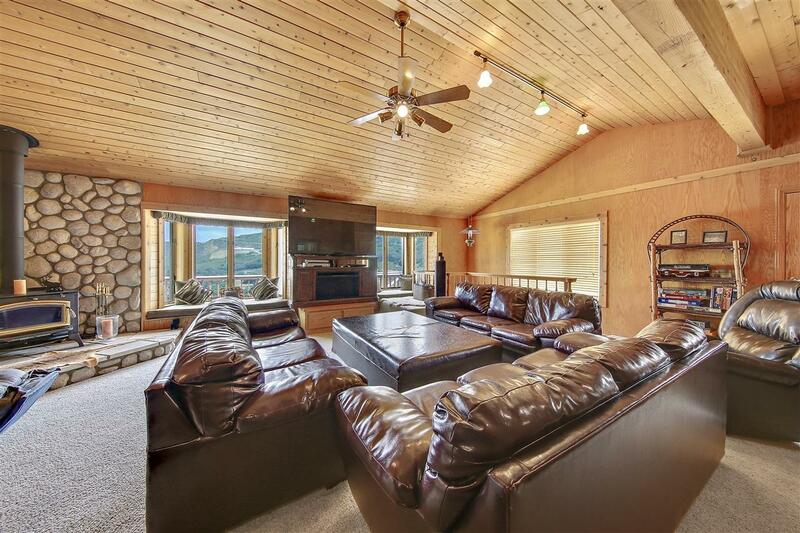 6BR, 8BA, and a Texas-sized gourmet kitchen includes top of the line appliances, granite countertops, a huge center island and a charming old fashioned wood burning stove. There is so much to explore within the three levels . 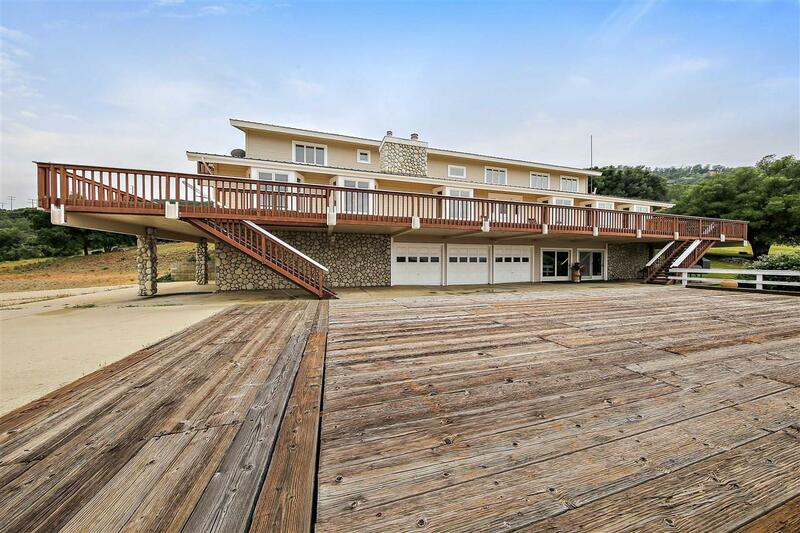 . . an indoor gym, game room, and a four car garage. You'll also find two giant storage lockers under the driveway deck, one with a 13,000 kilowatt Kubota diesel generator, which can run the entire house in the event of a power outage. The estate also has five tons of air-conditioning with three zones and forced air, gas heating throughout. Like to golf? If the natural beauty with the rabbits, deer, and wild turkey aren't enough, you can enjoy a round of golf on your own nine hole course. The nine tee boxes surrounding the putting green allow for a competitive round with current course record of 32. You'll be challenged with the sand traps and a pond stocked with bass and catfish. Presently there are six fenced horse pastures and three fenced cattle pastures. The four stall stable has a tack room, bathroom, and a loft. There is also a 4100 SF barn plus a 1200 esf 2 BR/2 BA apartment.